Your backlog is a mile high, your roadmap a mile long and your available story points always feel like they are half as many as you need. Everyone above you thinks the product should have shipped yesterday. Everyone below you is begging for another two sprints to complete their work, warning of grave technical debt. The dance of a technical leader is on the razorblade shoved between short term speed and long term ambition – parting with even a single hacker for a single day represents steep opportunity cost. 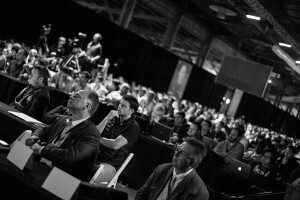 Many shops can only part with their developers for one conference a year. For your developers, I want that conference to be Signal in San Francisco next month, May 19th and 20th. As developers, Signal was the opportunity to craft the conference we would want to attend ourselves – I hope you find the same when you look at the stacked schedule of talks. We reached out to the best technical speakers we’ve seen in five years of developer outreach and invited them to the conversation. On our Twilio themed “Learn” track we’ve got all the folks that build Twilio coming to share what they’ve learned building products old and new. I’m particularly stoked to hear from my colleagues Coleen Coolidge and Daniel Palacio talk security at Twilio and within your Twilio apps. I always learn something new about the complexities of international from Lisa Weitekamp on our Phone Numbers team – a must see for anyone with a global customer base. And Peter Shafton and Bob Hagemann who will be talking about how Twilio builds Twilio – lot of killer lessons of scale learned by these Twilio veterans. No pitches. Only real technical sessions for the working developer. No one builds an app with Twilio alone. By liberating communications to be built into the applications you are already creating and the languages you already know, the software that connects your customers via voice, messaging or video is built on the same stuff as your product. This is why we loaded Signal up with two more tracks featuring pragmatic talks about the technologies we all use. The first track “Insight” contains practical talks about technologies, design patterns and concepts we see used frequently in Twilio applications. But not just the theory behind these ideas, but useful insight on their practical application. Guillermo Rauch will not just be talking about socket.io, but how you can use it to supplement an existing web application. Leah Culver won’t just be talking about Swift, but best practices on using it to interact with a REST web service. Philipp Hancke won’t just be talking about WebRTC, but sharing wisdom learned the hard way on how to debug it in practice. Signal is not just a Twilio conference – it is a conversation about all the technology that you use with Twilio every day. Our last track is definitely my favorite – “Equip” is filled with developers from the Twilio community talking about the technical issues they encountered building stuff they love. James Montenegro from Xamarin will show how to create compelling communication experiences in C# and deploy to both iOS and Android devices. Adam Varga and Elliot Gardiner from Datalot will share lessons of volume when running a large call center on node.js. Finally, Kristina Durivage and Alan Palazzolo will have one of the most impressive hardware live demos we’ve ever seen. Building something you love is never easy and when you’re embarking on the journey to connect people over multiple devices, browsers and channels, the potholes in the roadmap are rarely evident from the start. Hearing the straight dope from people who have done it before holds invaluable wisdom your developers will not have to learn themselves the hard way. Developers at Signal will get a headstart on a host of new products, including the recently announced Twilio Video. We’ve got plenty more surprises we can’t wait to share with you at Signal. In addition to sessions from the engineers and product managers who built these tasty new developer tools, your friendly neighborhood developer evangelism and education crews will be on hand to sit down with you 1:1 and show you how they work. Chat with London devangel Marcos Placona about integrating Twilio with external calendaring systems. Rap with New York evangelist Ricky Robinett about using WebRTC to create a photobooth. Even teach your dog to send selfies with Chicago’s Greg Baugues. We had very high ambition when we set out to create Signal for you eleven months ago. But all the speakers, new surprises, kickin’ band and an honest-to-God carnival for coders is all really aimed at one thing: starting a conversation with your developers. The atomic unit of communications is the conversation – that uniquely human discourse between two people. Many of the conversations that will decide how we communicate for the rest of our lives are going to happen 19-20 May in San Francisco at Fort Mason. 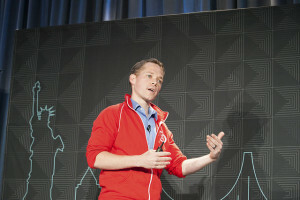 You can register now at signal.twilio.com before prices go up. Your entire staff is warmly welcome; if you call us at (844) 849-8157 and we’ll make sure to hook you up with a group rate. I hope you can join us for it. It won’t be the same without the voices of you and your developers.